Australia’s longest running major folk festival, the National, has announced its 2019 lineup of more than 180 acts over 5 huge days at Exhibition Park in Canberra this Easter. The best and brightest in folk from around the globe will converge on the nation’s capital, Canberra, 18-22 April, with world-class performers hand-picked from 14 countries including Japan, Portugal and Italy and a strong local component to boot. “The 2019 lineup is so diverse with acts spanning the full gamut of folk, from contemporary and trad to bluegrass, celtic, country, blues, dance and even a pop infusion - we have it all!” said National Folk Festival director, Pam Merrigan. The impressive line up welcomes an exclusive debut from Scottish duo Ross Couper and Tom Oakes, USA’s award-winning Kittel and Co. for their only East Coast show and Japanese folk trio, John John Festival returning to Australia after a very successful debut in 2017 and inimitable troubadour, Irish Mythen (Canada). “We’re equally excited about the incredible quality of Australian artists on offer too. Whether you’re a die-hard folkie or trying it out for the first time, you will love getting your folk on at the National this year!” she said. The National Folk Festival’s 53rd year will continue its tradition of championing homegrown talent with appearances from Redgum’s John Schumann, Goanna Band’s Shane Howard and The Red Rockin' Dirt Band who draw on the politically charged folk roots of the 70’s and 80’s and award-winning country singer, Fanny Lumsden to looping pedal and Harp playing pop songstress Elksa and James Van Cooper the edgy, Americana/country singer. Shortis and Simpson, will be premiering ‘Happy Little Copyrights’, a thought-provoking show about the art of song borrowing, a rare appearance by The Fagans, one of Australia's first and favourite folk families; as well as a performance from contemporary folk-pop trio Little Quirks, who recently supported The Preatures and are quickly establishing themselves as ‘ones to watch’. National Folk Festival will also see Canada’s The Once and our own John Flanagan wrap up the ever popular Festival of Small Halls Autumn regional tour. With more than 750 shows throughout 20 venues over its five days, a kids festival, themed bars, food and market stalls, roving entertainment and an engaging, multi-discipline arts program, it’s easy to see why the National Folk Festival is the longest running event of its kind and Australia’s home and heart of folk. National Folk Festival is held over the Easter long weekend, 18-22 April 2019 in Exhibition Park, Canberra. Tickets on sale now at folkfestival.org. See the full 2019 lineup at folkfestival.org/2019-performers. Melbourne blues songstress Anna Scionti (pronounced Shon-tee) is a singer/songwriter guitarist and bottleneck slide player. Scionti’s uninhibited foot stomping blues is honest and raw. On cigar box guitar, resonator, lap steel and stomp you will be deeply immersed into her world of electrified rhythmic tunes. Playing emotionally charged songs from her new album, Anna tell stories of loss, love, laughter and tragedy. One of the UK’s finest exponents of storytelling through song, Bob Fox is deeply influenced by the working class culture and industrial folk song prevalent in his native County Durham. For over 40 years he has toured extensively throughout the UK, Europe, USA, New Zealand and Australia. Twice nominated as Best Folk Singer in the BBC Folk Awards Bob has long been a favourite on the live circuit. While Verch is perhaps best known for playing traditional fiddle styles from her native Ottawa Valley, Canada her performances extend into old-time American and Appalachian styles and far beyond for a well-rounded tour-de-force of North Americana sounds. Sometimes she sings, steps, and fiddles all at once with apparent ease and precision. Verch is – as they say – a triple threat in performance. Her live show is a beautiful companion to her music: versatile robust and masterfully executed. Winner of 'Best Guitarist’ at Bluesfest Busking Comp 2017 and hailed as "The next big thing!" by Yumi Stynes (of ABC podcast ’Ladies, We Need To Talk'), Ella Belfanti is a solo artist with a sound as full as a band. Brandishing her guitar, stompbox and loop pedal, she takes the audience on a journey through folky ballads, to groovy atmospheric blues, largely instrumental percussive guitar pieces, and fast-paced heralds to the confusing human condition. Infusing playfulness and wonder into the Australian pop music industry, Gold Coast artist ELSKA has redefined the humble harp – marrying the delicate instrument with the power of a loop pedal. Oozing charm with a new brand of breezy soulful pop ELSKA creates melodic harp-infused pop music designed for daydreaming, road tripping and romance. ELSKA's surprise-package live show will captivate curious romantics and prove that anything is possible in the world of pop music. The Fagans are one of Australia's leading folk music families. They are loved internationally for their high-energy shows, stellar repertoire and close harmony singing and are delighted to reunite for the National, their heartland festival. The 5-piece includes founding duo Margaret and Bob Fagan (who for decades have been central to the Australian folk scene), folk-roots songwriter Kate Fagan, and renowned UK-based fiddle and bouzouki duo Nancy Kerr and James Fagan. They are an act not to be missed. Western NSW raised Fanny Lumsden is hitting new highs with her second album ‘Real Class Act’. Released on her own Red Dirt Road Records label, the album debuted at No. 1 on the ARIA Country Chart and won Country Album of the Year at the 2018 AIR Awards while the 6th Annual Country Halls Tour throughout 2017–18 was Fanny’s biggest tour to date. It’s no wonder the words ‘I love Fanny’ are on everybody’s lips. Gawurra Gaykamangu is a Yolngu performing artist hailing from Milingimbi (Yurrwi) North East Arnhem Land. Gawurra won the NT Song of the Year in the Pop category four NIMA Awards and received national recognition throughout the music industry and mainstream media including ARIA nomination and 4.5-star review in Rolling Stone magazine. Gawurra has established himself as a 'must see' live act gathering a mainstream following and captivating his audiences. Irish is a true entertainer who is known for her gripping live performances. She is the storyteller who will grasp your attention and who will bring you on an incredible and emotional journey – as well as the comedian with a joie de vivre who’ll have you laughing from the very beginning until long after she’s left the bandstand. James Van Cooper is an Australian. He’s young, stylish and cool. He summons the sounds of Alt/Country Rock with catchy hooks and twangy guitars. He’s a man for those that like their country gnarly and epic as well as nuanced and intimiate. James’ is a slick flamboyant performer and a heartfelt songwriter, he’s renowned as a wild and complete guitarist who can leave an audience in smoking ruins. JigJam are a multi-award winning quartet from the heart of the midlands in Ireland. Blending the best of traditional Irish music with bluegrass and Americana in a new genre which has been branded as 'CeltGrass', their onstage energy along with their virtuosic musical ability has captivated audiences throughout the world. John John Festival is fast becoming the most popular Irish/Celtic three-piece fiddle/vocals, guitar/vocals, and bodhran & tajibourine-light (original tambourine) band in Japan. With rhythm, melody and emotion in a genuine groove they have a mutual ease and a 'music makes the audience and players both happy' mind set. They played Celtic Colours (Canada 2016) and Woodford Folk Festival (Australia 2017–2018). Shane Howard (ex Goanna) and John Schumann (ex Redgum), two of the most influential Australian singer-songwriters of our age, simply can’t stand it anymore. They’ve written and recorded a song together, fittingly titled TIMES LIKE THESE and will perform it with The Red Rockin' Dirt Band at National Folk Festival . 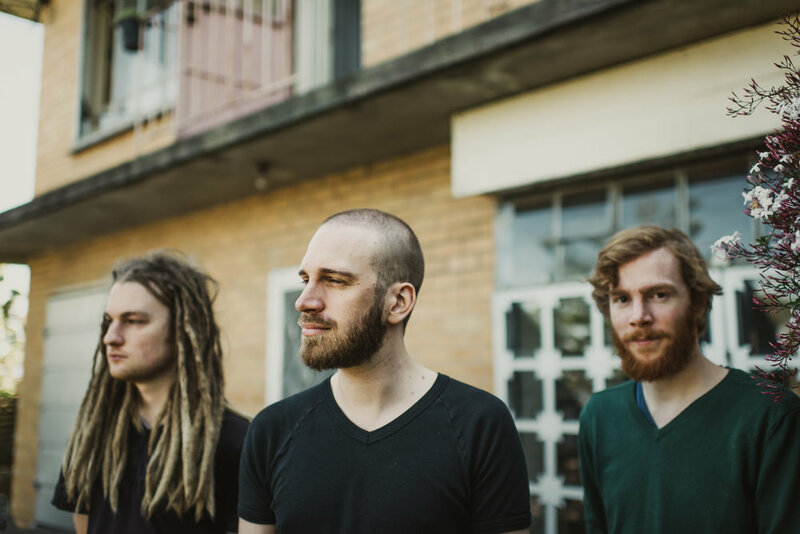 Kittel and Co consists of Jeremy on violin and vocals, Joshua Pinkham on mandolin and Quinn Bachand on guitar. Jeremy Kittel is an award-winning American fiddler, violinist, and composer. A master in Celtic, classical, jazz, and bluegrass traditions, Kittle is gifted in fusing and revitalising these diverse styles. He has worked with Bela Fleck, Edgar Meyer, Chris Thile and My Morning Jacket and has also been a guest artist with several symphony orchestras. The Little Quirks are a young all-girl family trio from the Central Coast, NSW. Their sound is dominated by their vocal harmonies and their own brand of indie-folk quirkiness comprising mandolin, guitar and drum kit. Starting out as buskers just three years ago they have recently released their third EP and played festivals such as Bridgetown, Mountain Sounds, Port Fairy, Nannup and more. Their influences vary from traditional folk to Mumford and Sons! Lloyd Spiegel is a trailblazer at the forefront of modern blues and is one of Australia's most recognised guitarists. Australian Guitar Magazine recently named him in its list of the top 50 Australian guitarists of all time and he is nominated for Best Blues Album 2018 at the Music Victoria Awards. His show blends jaw-dropping guitar expertise with a commanding voice, powerful songwriting and storytelling to deliver a complete concert experience. The multiple award-winning group from Québec presents high-energy traditional French-language songs with strong vocals, acoustic and electric instruments and programming. Led by Mélisande and her husband Alexandre de Grosbois-Garand (Genticorum), the group continues to offer a fresh proposal to the folk music scene with its second album 'Les millésimes' (Borealis Records).